Heart Association, 5962 Zebulon Road, PMB 359, Macon, GA 31210. Benjamin Franklin University in Washington. and was an avid golfer. 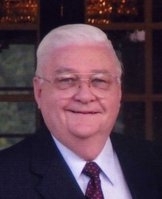 Richmond, VA and Lauren E. (Clay) Hearn of Greer, SC. Snow's Memorial Chapel, Cherry St. has charge of the arrangements.